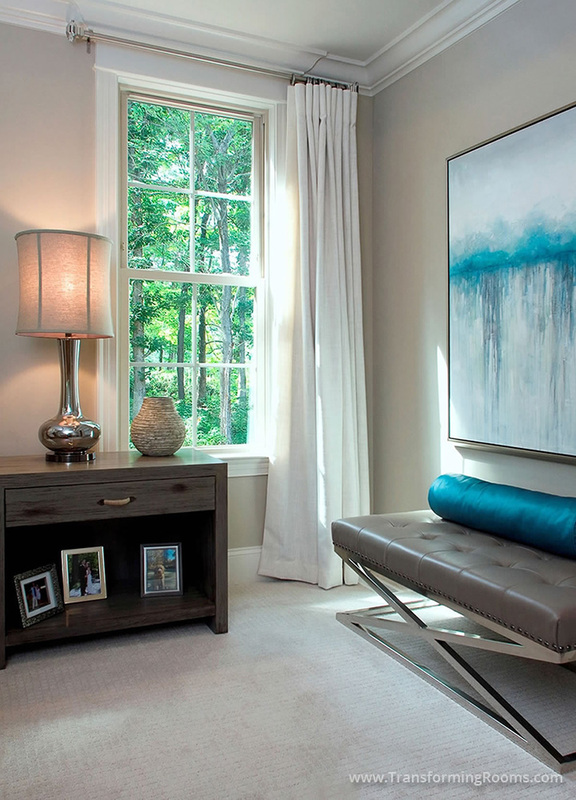 This Greensboro, NC bedroom has a fabulous new look! The bench, art, and window treatment transformed the space. It's all about the first thing you see when you wake up, do you love it? If not, tell us the colors you love, we can transform your space! 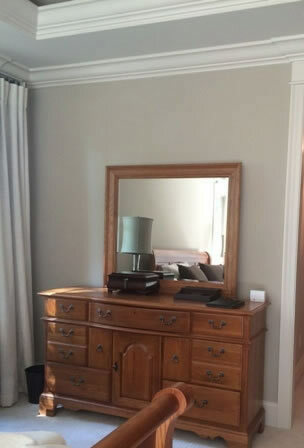 See the new dresser (on an adjacent wall) in "Designer Solutions" of the portfolio. This bedroom is now a reflection of the homeowner's contemporary style.